On the one hand it was somewhere that I was really attracted to visiting. The idea of a mini break somewhere hot appealed, along with the endless shopping and souks! Before visiting Marrakech I was a big fan of the vibrancy of Moroccan themed interiors and decor, so I knew it would be amazing to experience this colourful culture in person. But on the other hand I had heard some bad things about animal cruelty and the risk of sickness there. I had seen some photos of the performing street monkeys and it made me question if this was somewhere that I wanted to spend any time. I was also aware at what a meat orientated city Marrakech is and I wondered how I would fare there as a vegetarian or vegan. Despite my reservations, I am not someone to pass up the opportunity for a holiday or a good time. Once we were on the aeroplane and flying towards the grand sight of the Atlas Mountains I knew I had made the right decision and I was excited about what lay ahead. I booked myself in to stay at Riad Dar One and I wasn't disappointed. This was an absolute haven in the centre of Marrakech and would prove to be the most perfect and comfortable base for the next few days. After the first 24 hours I knew I wouldn't have a problem surviving this holiday as a vegan. 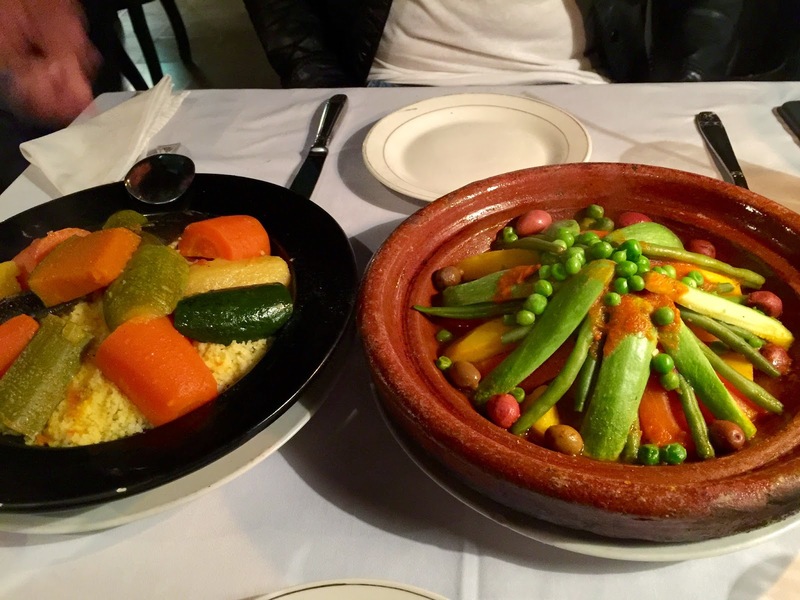 Almost every restaurant and cafe I passed by had the menu options of the traditional Moroccan dishes vegetable tagine and vegetable couscous. 2 days into the break and I began to feel a little concerned that this was all I could eat and I was already growing tired of it, but after a little research online I found some other restaurants offering up decent vegan food including the Henna Art Cafe, Earth Cafe and Cafe Clock. Lets put it this way - I didn't starve! And in fact I felt really healthy the whole time I was in Marrakech. There was little in the way of convenience food and everything I ate was fresh and plant based. My meat eating friends made the mistake of trying some of the famous street food in the main square Jemma El-Fnaa and consequently got sick on their last day. I'm glad that I steered clear of this and in any case it was mainly meat and fish so I wouldn't have tried it anyway. You do feel a sense of pressure that you will be missing out on a true cultural experience by not fully immersing yourself in the traditional cuisine as the locals eat it. But for me keeping well was more important! We booked ourself a guided tour for our first morning in the city and this was perfect as it enabled us to get our bearings and see all the most important sights of the city, whilst hearing about the history and local culture. 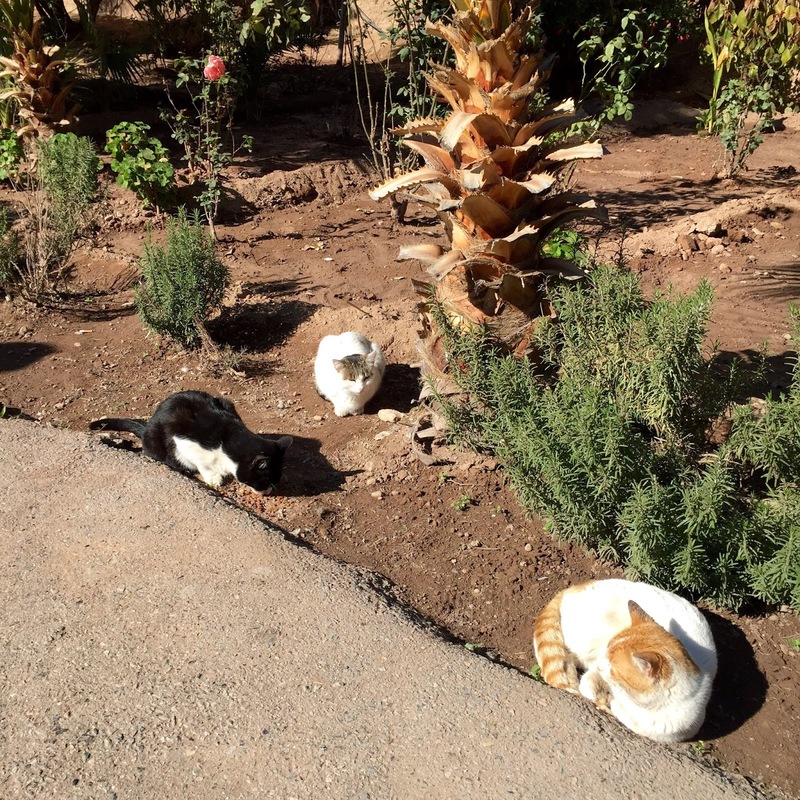 Marrakech is a very hectic place and it can seem very daunting when you first arrive. Taking a guided tour definitely helps! Marrakech is fantastic for shopping and the souks lured me in every day. I just wish I had more luggage room to bring everything I liked back with me! 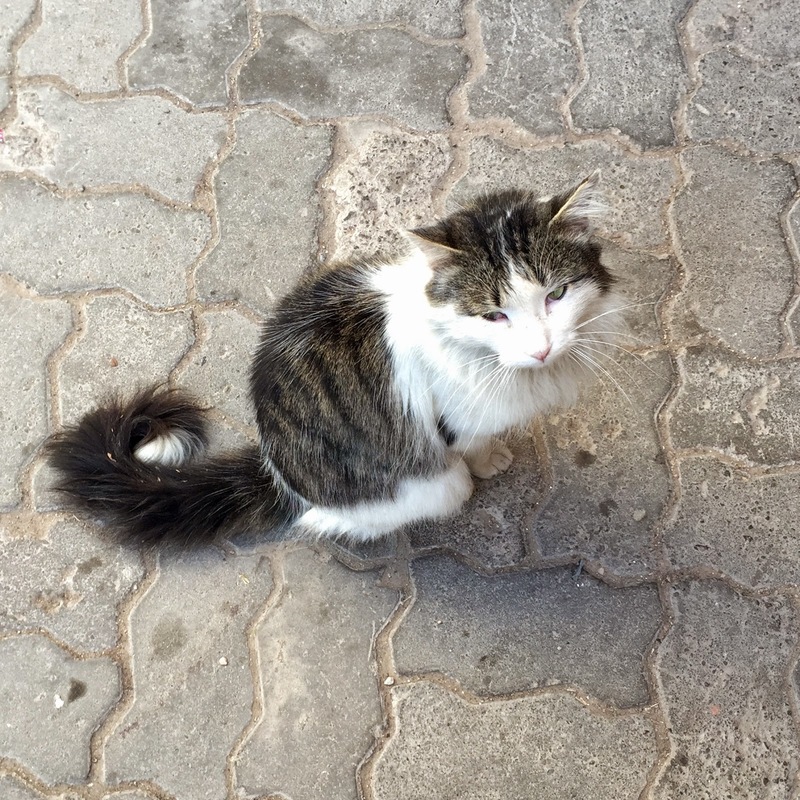 I did see some things whilst I was in Marrakech that upset me and made me look away. Mainly the monkeys in the main square with chains around their necks posing for photographs in dirty outfits. We were hassled to stand with the monkeys but we just looked away and kept walking in the other direction. 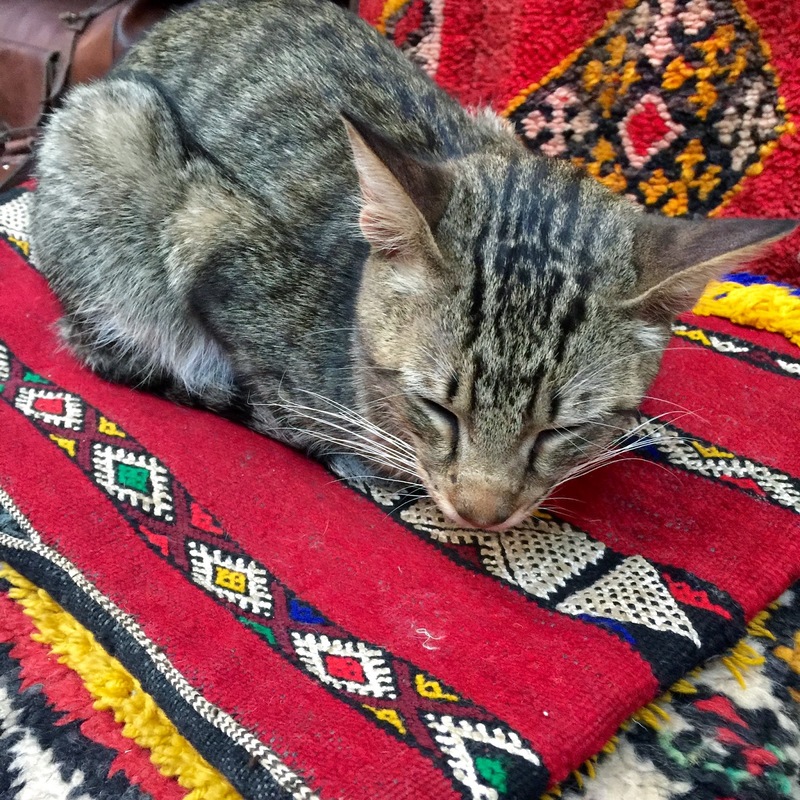 I think that I have felt upset by how animals are treated in most countries that I have visited and Morocco isn't any different or worse. As long as you are the tourist that chooses not to contribute towards the suffering of animals then hopefully these vendors will eventually get the message that people no longer want to see animals performing in this way. By standing there and having your photo taken with these kinds of animals you are directly contributing towards their abuse. Theres just no need for it. Especially when there are 100 other cool things to do! 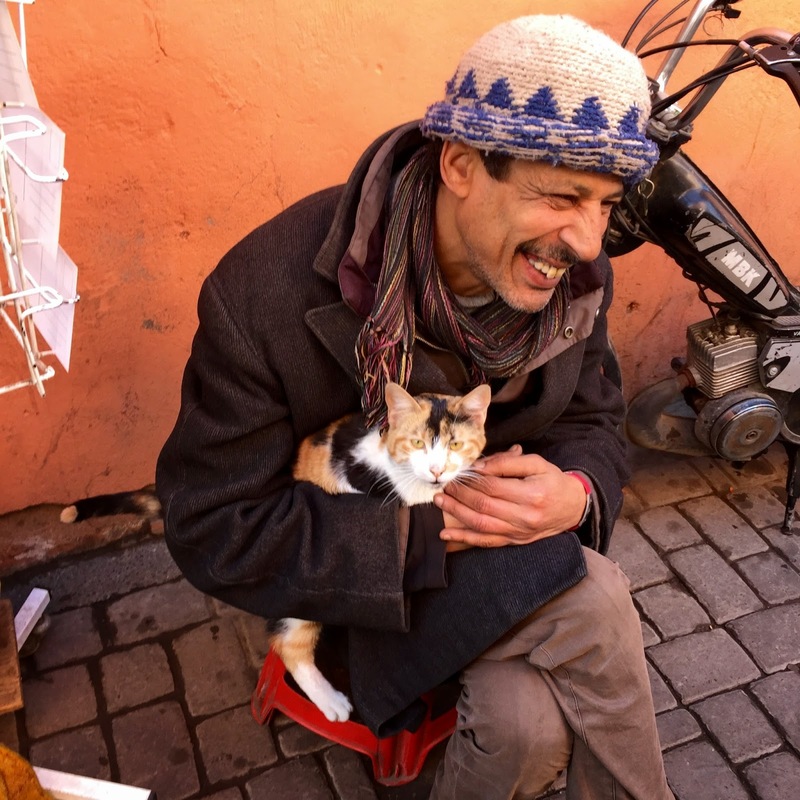 I tried to divert my sadness and attention away from the monkeys and focus on how lovely the Moroccan people are to their cats. Cats are viewed upon as sacred and very lucky within the Islamic culture and consequently the cats are well looked after. If you love cats then this is the place for you! I'm so happy that I took up this opportunity to visit Marrakech. It's a city that taps into all of your senses, and although at times a little overwhelming, it was a truly memorable experience.